When it comes to pothole repair, you want a permanent solution that won’t require expensive re-patching. That’s why every pavement repair must have these 6 factors to perform without fail. If any of these six factors are off, your mix isn’t going to stay in the hole. You’ll be reapplying material again soon and often! We know that it’s not the initial cost to repair roads and highways that impact your budget. It’s the cost to re-patch again and again and again. That’s why B & S Contracting manufactures UPM, a unique paving material. Why? 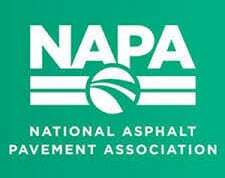 It’s a superior, high performance, permanent repair material that simply outperforms any other cold patch asphalt on the market. UPM is used strictly for pothole patching purposes only. That’s its only job! It’s not meant for paving driveways, roads, etc. 90% of all potholes patched with UPM Cold Mix Asphalt Repair Material never need patching again. And that means huge savings over time. Is it any wonder then that paving contractors from Roanoke to Northern Virginia trust B & S Contracting for cold mix asphalt repair? UPM is the preferred method for patching potholes because it doesn’t require heavy machinery and it’s easy to use! In fact, all you really need is a hand tamper and a shovel. Used by contractors, business owners, and municipalities, UPM can be used year-round on driveways, roads, highways, and more. A permanent pavement patch and repair solution, UPM Cold Asphalt Repair Material doesn’t care about the weather. It stays stable no matter the temperature and keeps working! If you’ve had to repair the same roads and potholes over and over again, you already know what a frustrating experience it is. Not to mention, expensive. Accept no substitutes. Choose UPM cold pavement patch solution and save money, time, and headaches. You’ll love its all-season flexibility and performance, as well as its cost-effectiveness. And because B & S Contracting manufactures it, you know you’re getting an exceptional product as well as exceptional service.